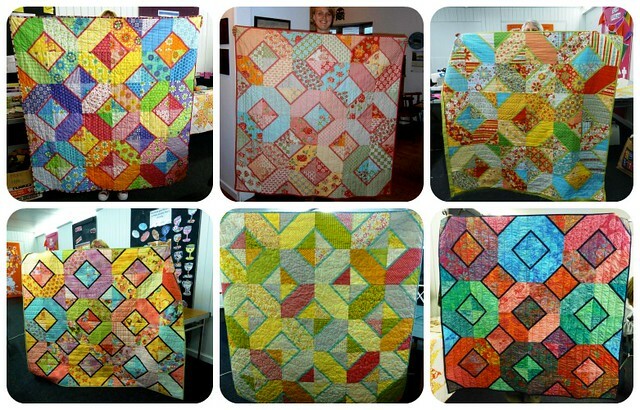 Modern Quilters Ireland - old: Calling All Teachers! Regularly we get emails from new Irish quilters asking for beginners classes. Sadly we are not able to run these classes as a collective guild since we are scattered throughout the entire island of Ireland. However, its an excellent opportunity to link up new MQI members with more experienced teachers in their local area. If you are a teacher and you are not already listed on our Find A Teacher page, please email Cindy (fluffysheepquilting[at]gmail[dot]com) with a little description of yourself and what you offer as well as links to your blog or FB page. We would be happy to add you to our growing list. Image from Just Jude's Ferry Floor class. Many of you are also branching out and offering quilting services. If you are one of these people, please also get in touch with me (above) and describe your small business. I would be happy to create a new tab on the blog so folks can get in touch with you as they finish their projects.